New Budget Assures Eva Facility Will Stay! 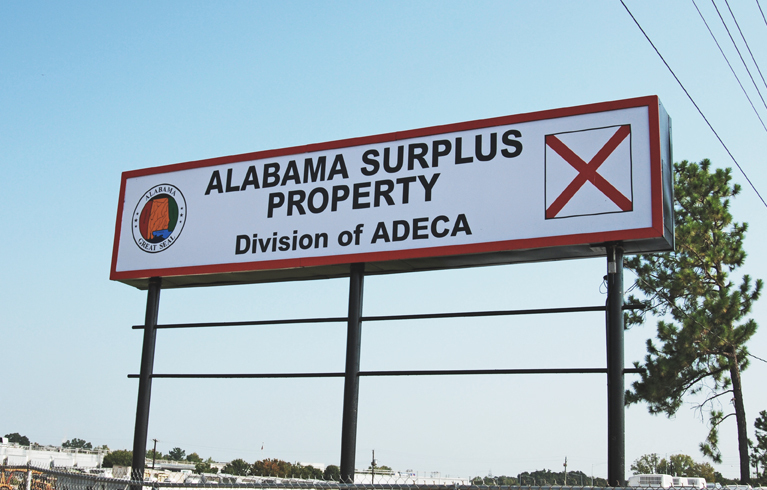 The state General Fund Budget approved by the legislature last week includes funding that will keep open north Alabama’s Surplus Property Facility at Eva in Morgan County. Closing announcements were made last October. North Alabama quickly developed a strategy to keep the important facility at Eva. The only other facility like it is in Montgomery. Governor Bentley worked with us on a short-term strategy while long-term funding was secured in the budget. This facility at Eva is crucial to first responders, local governments, schools and non-profit organizations in north Alabama. Their budgets would take a big hit if the facility closed. They all got involved with letters and emails and I appreciate all they did to help bring attention to the need. This facility is in my district and I appreciate the many, many people who helped develop a successful strategy to keep this facility open. Senator Arthur Orr was crucial to this success. The Morgan County Legislative Delegation worked together closely on this effort. The delegation includes Senator Arthur Orr, R-Decatur; Representatives Terri Collins, R-Decatur; Representative Micky Hammon, R-Decatur; Representative Ed Henry, R-Hartselle: Representative Ken Johnson, R-Moulton; and Representative Randall Shedd, R-Fairview. Representative Terri Collins chairs the TVA Caucus, which was an important part of the strategy to activate legislators from the TVA counties in north Alabama. Representative Collins and the TVA Caucus did a good job. Representative David Standridge, R-Hayden chairs the Rural Caucus and he called on rural Alabama to help and I appreciate that. Former Representative Jeremy Oden, now Public Service Commissioner worked hard to behind the scenes and we thank him. Mayor Gary Livingston and the Eva Town Council along with the Morgan County Commission and county officials did a good job with their part of the strategy and we thank them. So, like all successes, it was a “we did it” and not “I did it” success and I want to thank everyone involved. It would not have happened without the help of the legislative budget chairs, Representative Steve Clouse, R-Ozark and Senator Trip Pittman, R-Montrose (with coaching from Senator Orr) and Speaker Mike Hubbard R-Auburn and Senator Del Marsh, R-Anniston. We are appreciative to them. And finally, let’s not forget that Governor Bentley and ADECA director Jim Byard were willing to listen and help find a way to keep the Eva facility open. We are very grateful to them.